ST. GEORGE – The No. 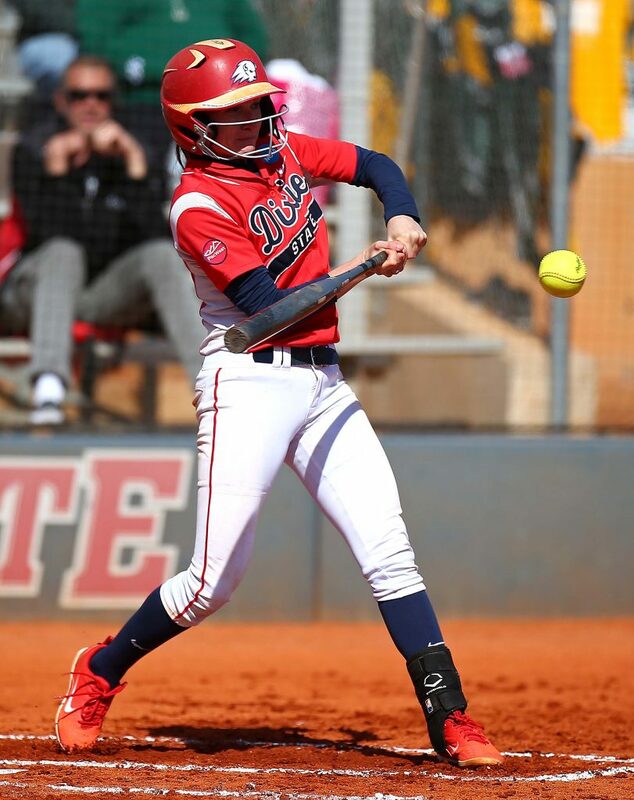 4-ranked Dixie State softball team opened Pacific West Conference play on Saturday with a doubleheader sweep, 1-0 and 9-6, of No. 16 Concordia-Irvine at Karl Brooks Field. 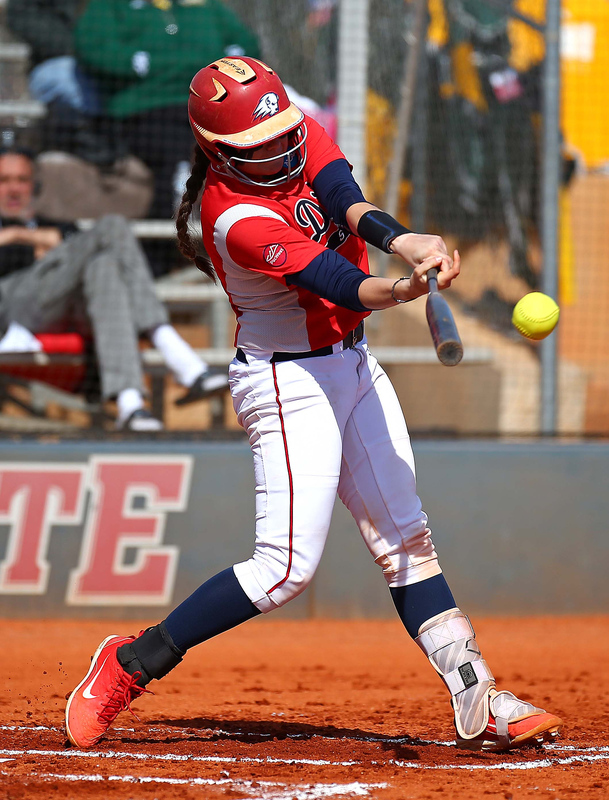 The Trailblazers (15-0, 2-0 PacWest) scored the lone run of a pitchers’ duel in the sixth inning of game one, and used big innings in the third and fifth inning in game two to secure the sweep. 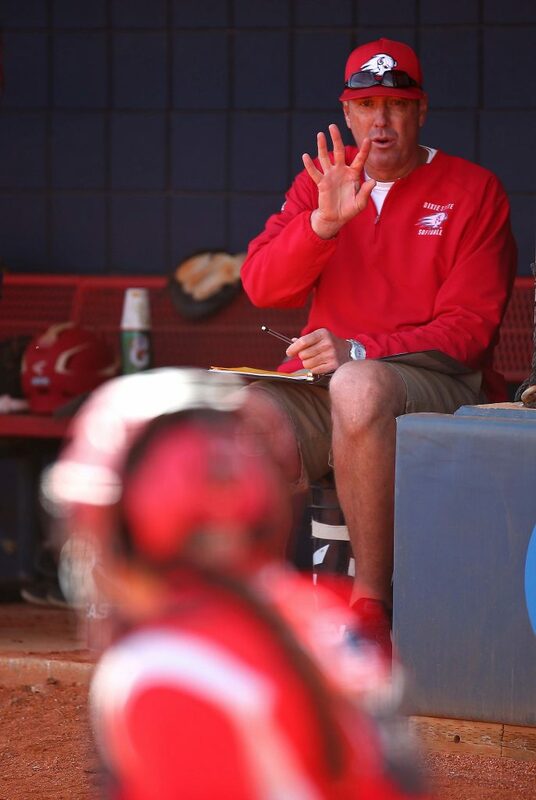 With the wins, DSU extends its season-opening undefeated streak to 15 games. 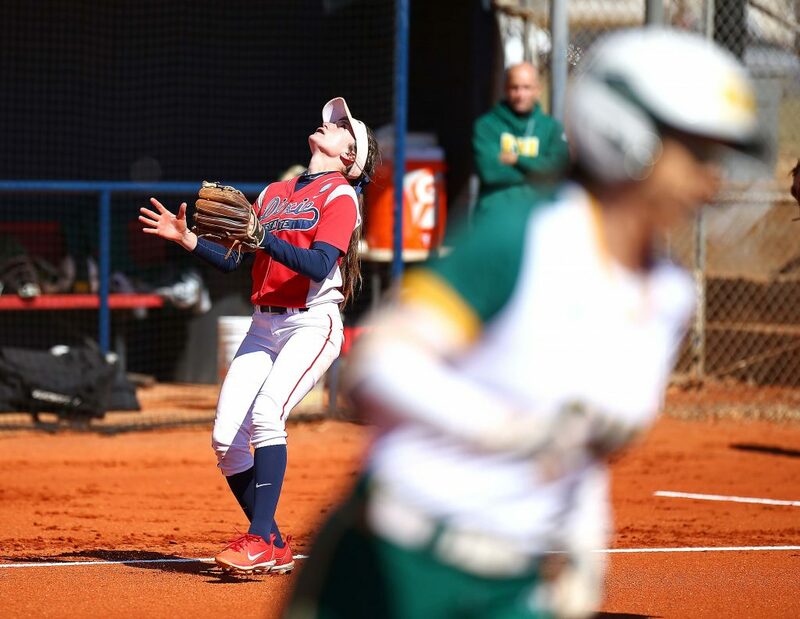 Dixie State and Concordia-Irvine took turns leaving runners on base through the first 5 1/2 innings as Cambrie Hazel and CUI pitcher Callie Nunes combined for 16 strikeouts through the same stretch. The Trailblazers broke the scoreless tie in the bottom of the sixth inning. Kori Gahn led off the frame with a single through the left side. Taylor Godfrey then entered the game as a pinch runner for Gahn. 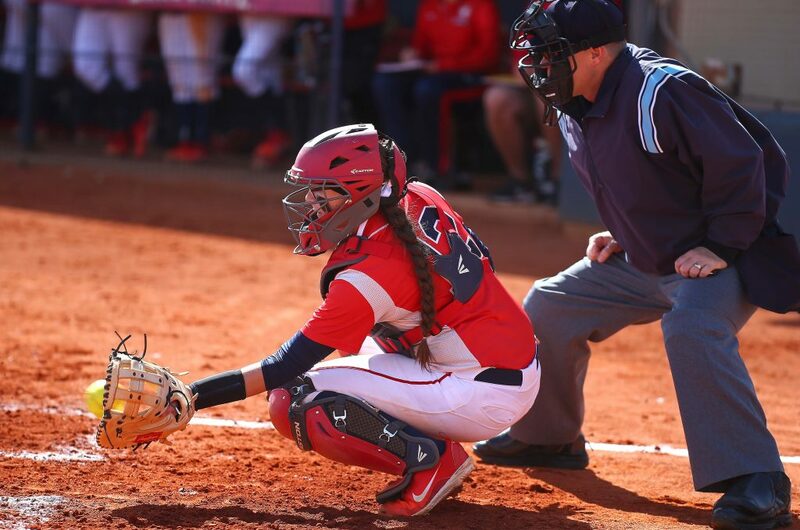 Godfrey moved to second on a Jessica Gonzalez sacrifice-bunt, then scored when Dani Bartholf singled up the middle to give DSU a 1-0 lead. 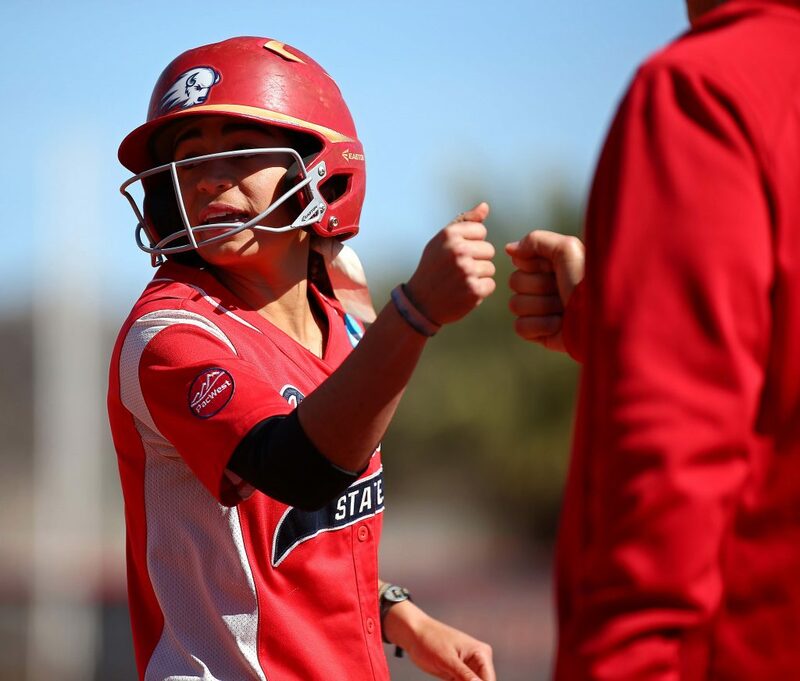 The Eagles placed runners on first and second base in the top of the seventh, but Hazel forced the final CUI batter to foul out to Gonzalez to end the game. 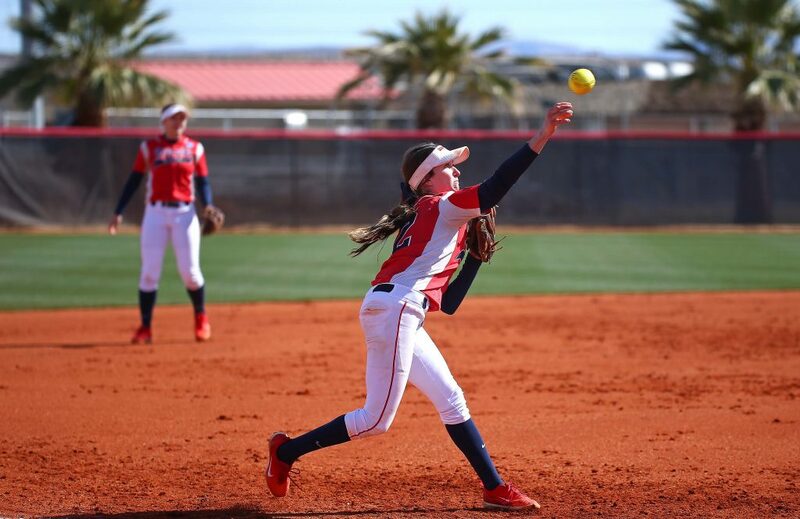 Hazel (7-0) earned the win in the pitcher’s circle for her second complete-game victory of the season. 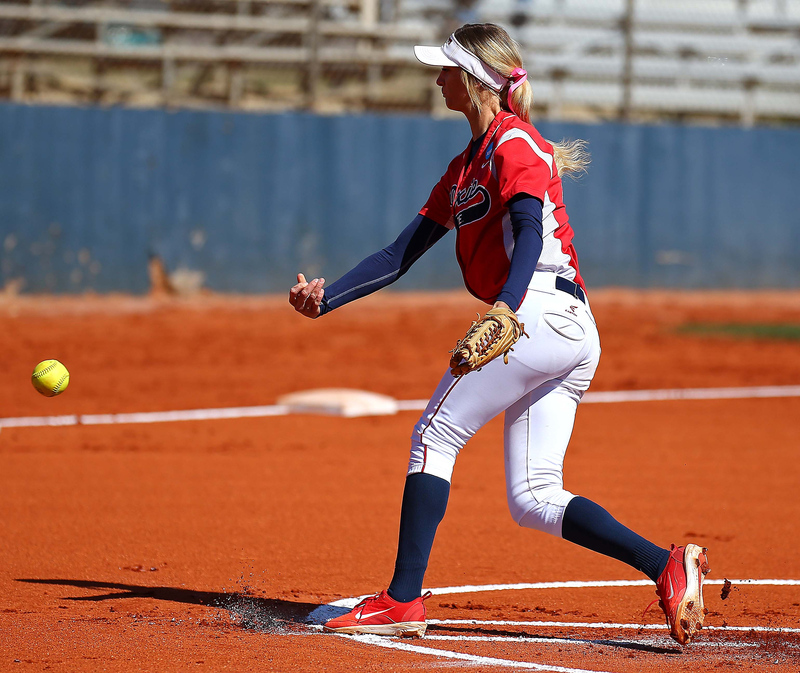 Hazel recorded six strikeouts and allowed just four hits. 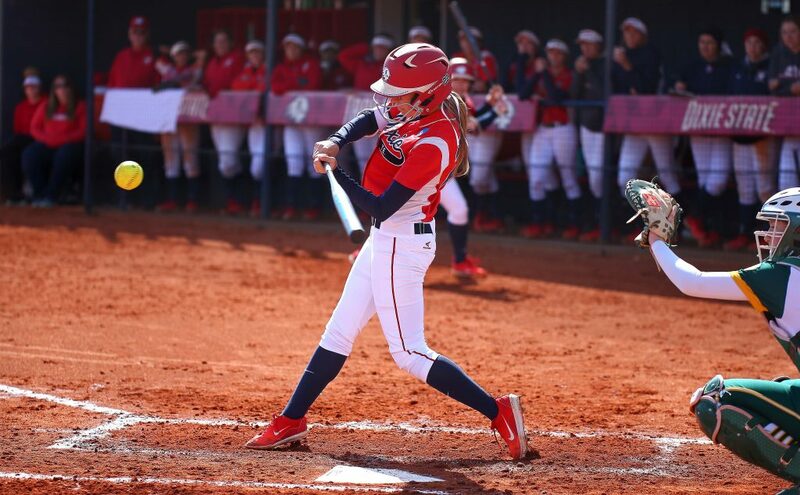 Kenzie Sawyer logged the only multi-hit performance for DSU, while Bartholf’s RBI-single marked the only RBI of the game. The Trailblazers built a 5-0 lead in game two, scoring one run in the first, three runs in the third, and one run in the fourth. 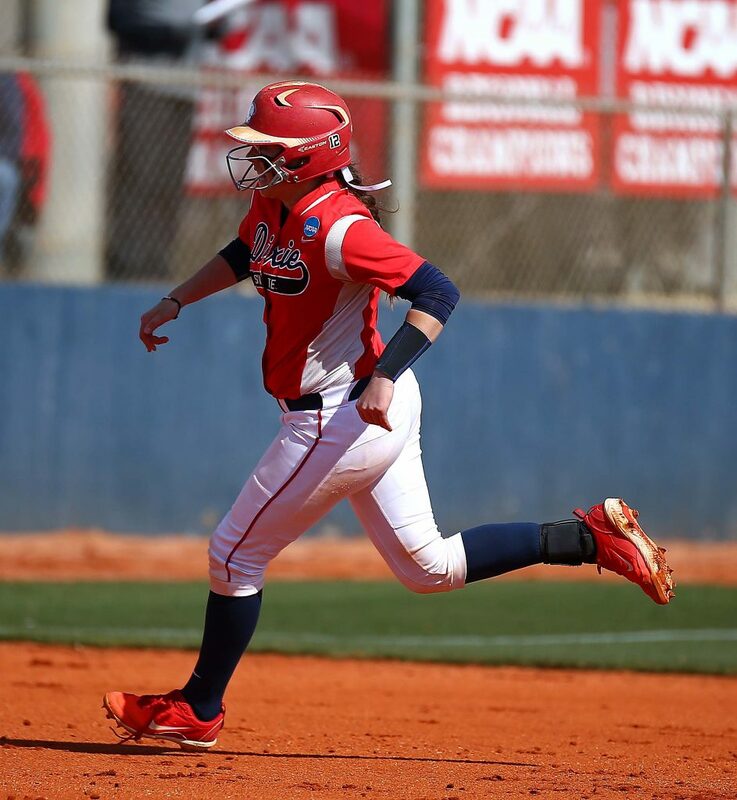 Bailey Gaffin plated the run in the first with an RBI-double, while Riley Tyteca belted a 3-RBI double to center field in the third. 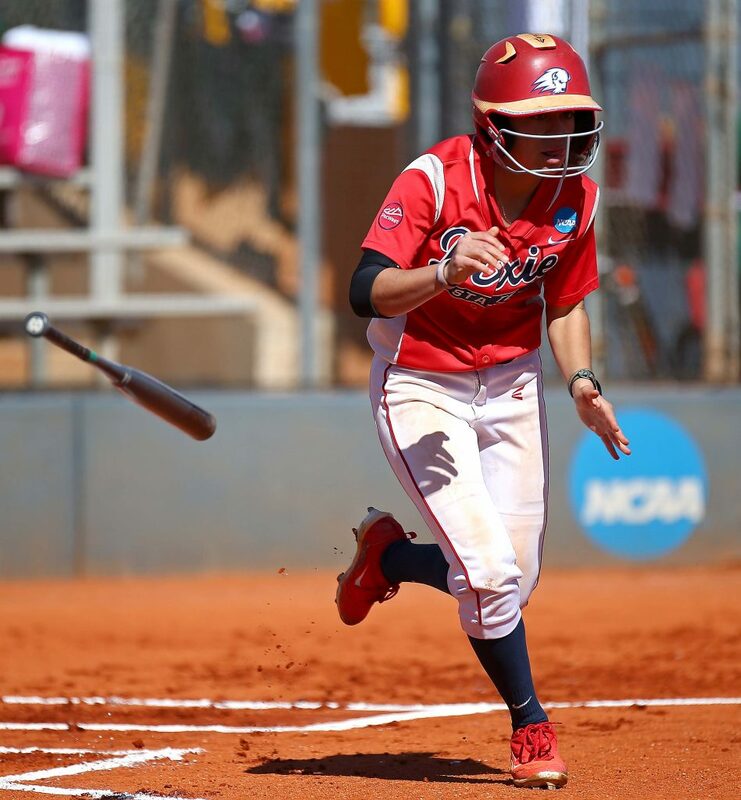 Janessa Bassett singled through the right side to score Bartholf in the fourth to complete the five-run advantage. Conordia-Irvine countered in the top of the fifth, scoring four runs with two separate 2-RBI doubles to cut the lead to 5-4. 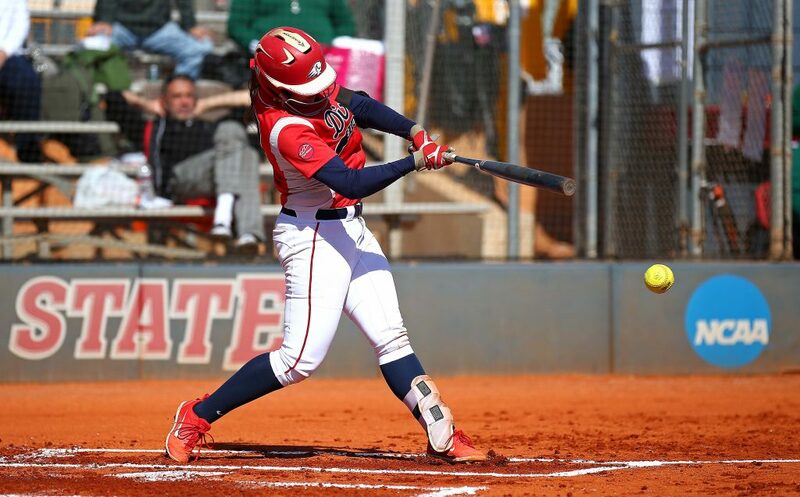 Dixie State answered with four runs of its own in the bottom of the fifth, scoring on three hits, to build the lead to 9-4. 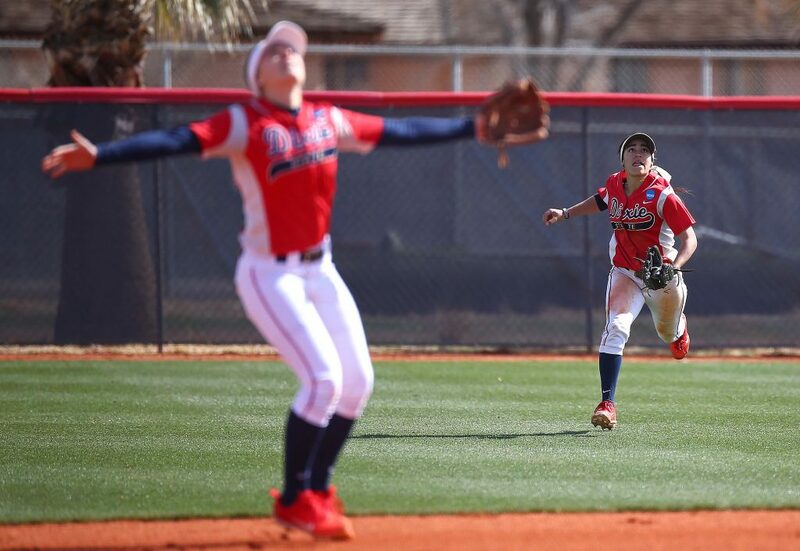 Bartholf singled to center field for the first run, while Sawyer scored on a wild pitch, and Brenna Hinck drove a 2-RBI single up the middle. 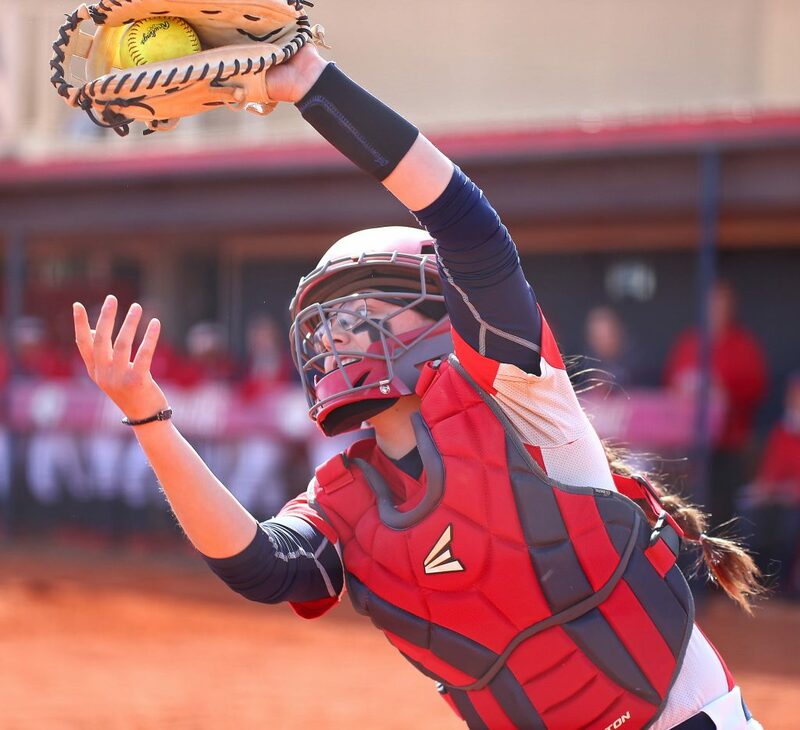 The Eagles pulled two runs back in the top of the seventh with a two-out, two-run home run to cut the lead to 9-6, but Hazel, who entered in the sixth inning, forced the next batter to ground out to Gaffin at shortstop to end the game. 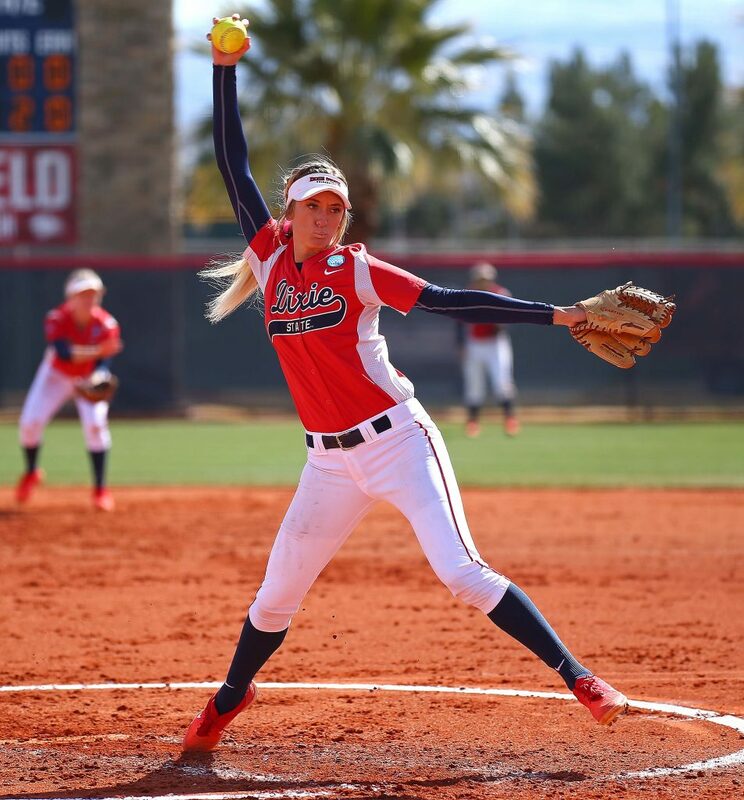 Alexis Barkwell (3-0) earned the win in the pitcher’s circle, recording one strikeout with four hits in 4.1 innings pitched. Bassett led the charge at the plate with three hits and an RBI, while Hinck finished with two hits and two RBIs. 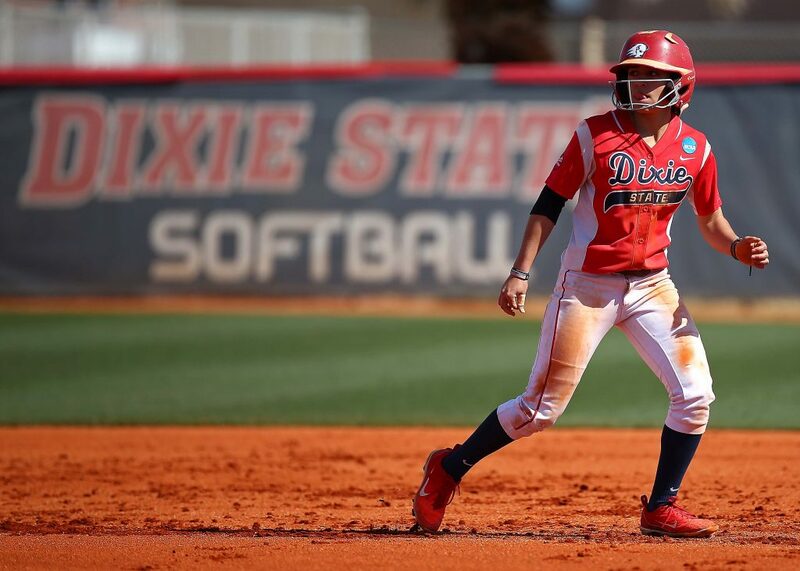 Dixie State will host Notre Dame de Namur in a three-game series next Saturday and Sunday at Karl Brooks Field.